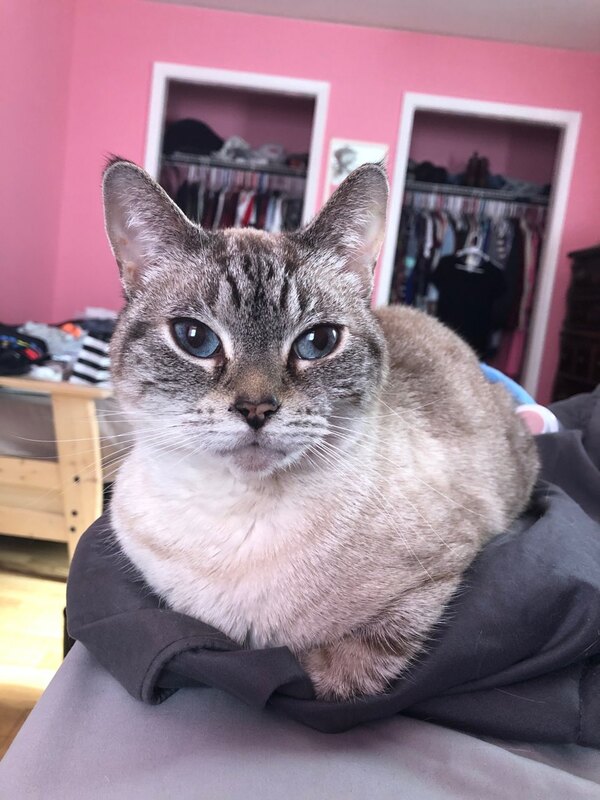 Cat is a 7 year old Siamese/Tabby mix. She loves to cuddle, and is good with small children, other cats and dogs. Cat is bonded to her companion cat named Nellie and would like to stay together. Nellie is a little on the shy side until she gets to know you.